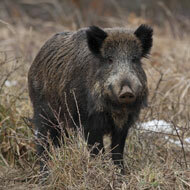 France has stepped up surveillance measures since ASF was confirmed in wild boar in the Belgian region of Luxembourg in September. France is set to cull all wild boar in an area along the Belgian border in a bid to prevent African swine fever (ASF), after new cases were discovered nearby in Belgium. The boar-free zone along the border will cover several miles and a perimeter fence will be built, Reuters reported. “The confirmation of two cases of African swine fever on Jan 9 2019, in Belgium at about 1km from the border, leaves our country more exposed than ever to this major risk for pig farming,” a ministry statement said, according to Reuters. France has stepped up surveillance measures since ASF was confirmed in wild boar in the Belgian region of Luxembourg in September. Two wild boar tested positive for the virus after being found in a new area, prompting the Walloon government to expand its buffer and surveillance zones. Elsewhere, the virus has reached 24 provinces and regions in China, since its first outbreak in August last year. The country culled 916,000 pigs after around 100 outbreaks of ASF across the country, Reuters reported. The virus has also recently been detected in Mongolia for the first time, and in pork products that were illegally imported to Australia and intercepted by border security.